Register now to get access to this on-demand webinar. In this exclusive 45-minute webinar and Q&A, speaker coaches Doug Neff and Jeff Davenport will share a series of techniques to help you deliver comfortably, dynamically, and empathetically. Learn how to up-level your content, simply by focusing on your delivery—a week, a day, and an hour before your presentation. This isn’t your typical webinar about speaker coaching maxims (“Don’t say ‘um,” “Use your hands,” “Drink water beforehand.”) Doug and Jeff will teach you Duarte’s own methodology and illustrate it for you using real client stories, meaningful metaphor, and humor. Get ready to go deep. You’ll discover how to reach your core confidence, focus on your audience, and tap into why you’re the right person to give this talk. 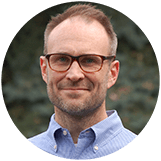 Doug Neff is a speechwriter, facilitator, and coach with over 15 years of experience working with speakers from Duarte’s extensive client list. He loves awakening natural talents and building confidence in people of all experience levels. Jeff Davenport is a public speaker, speechwriter, and screenwriter. 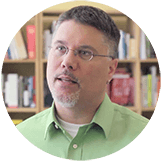 He currently works with Duarte’s clients as a content consultant and speaker coach. A recovering wallflower, Jeff loves helping the shy and timid find their voice so they can move an audience.